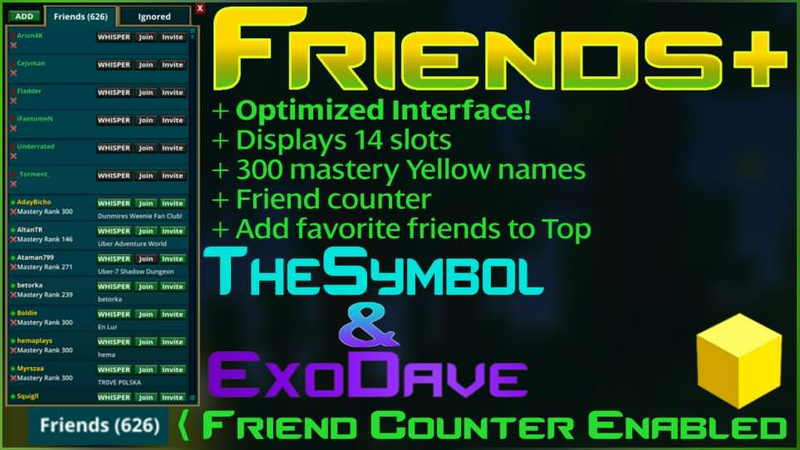 Improves the friendslist UI, includes TheSymbols Favorite Friends feature. <div class="bb_h1"]Add Favorite friends to the top of your list! Use my "<a class="bb_link" href="https://steamcommunity.com/linkfilter/?url=http://www.orw.se/mod/?page=config"]Configuration Creator tool[/URL]" to get started. 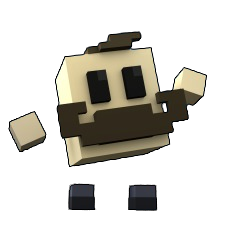 After youre done adding your friends head to the bottom of the page to download the custom prefabs_test.binfab file Then put this file at /Trove/Live/languages/en/override folder. (you can create the override folder if it does not exist). Like and Favorite to support this mod. And remember to Follow Exodave and TheSymbolWorkshop &gt; TheSymbols Workshop &gt; Click on "Follow TheSymbol"Workshop &gt; ExoDaves Workshop &gt; Click on "Follow ExoDave"